What are the different Container technology? Container technology has started after 2013. There is a high potential of getting confused about available container types like Docker , LXC/LXD and CoreOS rocket. LXC (Linux Containers) is an operating-system-level virtualization method for running multiple isolated Linux systems (containers) on a control host using a single Linux kernel. AppArmor is a Linux kernel security module that allows the system administrator to restrict programs’ capabilities with per-program profiles. Security-Enhanced Linux is a Linux kernel security module that provides a mechanism for supporting access control security policies. The Linux kernel provides the cgroups functionality that allows limitation and prioritization of resources (CPU, memory, block I/O, network, etc.) without the need for starting any virtual machines, and also namespace isolation functionality that allows complete isolation of an applications’ view of the operating environment, including process trees, networking, user IDs and mounted file systems. LXC combines the kernel’s cgroups and support for isolated namespaces to provide an isolated environment for applications. Docker can also use LXC as one of its execution drivers, enabling image management and providing deployment services. LXD is a next generation system container manager. It offers a user experience similar to virtual machines but using Linux containers instead. LXD isn’t a rewrite of LXC, in fact it’s building on top of LXC to provide a new, better user experience. Under the hood, LXD uses LXC through liblxc and its Go binding to create and manage the containers. What is difference between LXD vs Docker? – Docker focuses on application delivery from development to production, while LXD’s focus is system containers. – LXC in market since 2008 as compare to Docker 2013. – Earlier Docker was based on LXC. Later Docker replaced it with libcontainer. Anbox is a container-based approach to boot a full Android system on a regular GNU/Linux system like Ubuntu. In other words: Anbox will let you run Android on your Linux system without the slowness of virtualization. World is moving toward hybrid/multi-Cloud solutions and it is important for every Enterprise/Organizations to use different Cloud providers effectively!. Multi-Cloud strategy will help companies to save cost, make infrastructure highly available and businness continuity plan (disaster recovery) etc. Infrastructure as Code (IaC) is a type of IT infrastructure that operations teams can automatically manage and provision through code, rather than using a manual process. Infrastructure as Code is sometimes referred to as programmable infrastructure. IaC is useful as it supports and make provisioning, deployment and maintenance of It infrastructure easy and simple in multi-Cloud scenario! 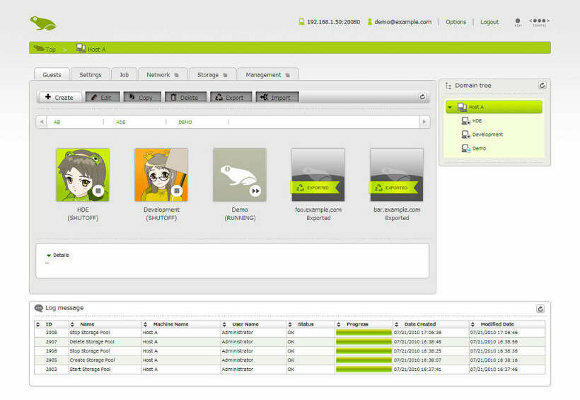 * Manage infrastructure via source control, thus providing a detailed audit trail for changes. * Apply testing to infrastructure in the form of unit testing, functional testing, and integration testing. * Enable collaboration around infrastructure configuration and provisioning, most notably between dev and ops. Terraform is a tool for building, changing, and versioning infrastructure safely and efficiently. Terraform can manage existing and popular service providers as well as custom in-house solutions. Terraform provides a flexible abstraction of resources and providers. Terraform is used to create, manage, and manipulate infrastructure resources. Providers generally are an IaaS (e.g. AWS, Google Cloud, Microsoft Azure, OpenStack), PaaS (e.g. Heroku), or SaaS services (e.g. Terraform Enterprise, DNSimple, CloudFlare). Spinnaker is an open source, multi-cloud continuous delivery platform for releasing software changes with high velocity and confidence. Deploy across multiple cloud providers including AWS EC2, Kubernetes, Google Compute Engine, Google Kubernetes Engine, Google App Engine, Microsoft Azure, and Openstack. AWS CloudFormation gives developers and systems administrators an easy way to create and manage a collection of related AWS resources, provisioning and updating them in an orderly and predictable fashion. You can use AWS CloudFormation’s sample templates or create your own templates to describe the AWS resources, and any associated dependencies or runtime parameters, required to run your application. Microsoft Azure Automation provides a way for users to automate the manual, long-running, error-prone, and frequently repeated tasks that are commonly performed in a cloud and enterprise environment. It saves time and increases the reliability of regular administrative tasks and even schedules them to be automatically performed at regular intervals. You can automate processes using runbooks or automate configuration management using Desired State Configuration. ARM Templates provides an easy way to create and manage one or more Azure resources consistently and repeatedly in an orderly and predictable manner in a resource group. NOTE- Docker Compose is mainly for Container technology and is different from above tools. The powerful concept of microservices is gradually changing the industry. Large monolithic services are slowly giving way to swarms of small and autonomous microservices that work together. The process is accompanied by another market trend: containerization. Together, they help us build systems of unprecedented resilience. Containerization changes not only the architecture of services, but also the structure of environments used to create them. Now, when software is distributed in containers, developers have full freedom to decide what applications they need. Compose is a tool for defining and running multi-container Docker applications. With Compose, you use a YAML file to configure your application’s services. Then, with a single command, you create and start all the services from your configuration. Compose preserves all volumes used by your services. Compose caches the configuration used to create a container. When you restart a service that has not changed, Compose re-uses the existing containers. Re-using containers means that you can make changes to your environment very quickly. When we speak of the DevOps and continuous delivery/integration (CI/CD) toolchain, we’re referring to a superset of tools—many with overlapping capabilities—for helping organizations achieve faster and safer deployment velocity. This encompasses a broad range of solutions: provisioning tools, orchestration tools, testing frameworks, configuration management (CM) and automation platforms, and more. Please refer DevOps – Comparison of different Configuration Management Software for Comparisons between CM. Here we’ll compare different orchestration and management tools for provisioning infrastructures: Terraform and Spinnaker/CloudFormation. CloudFormation is specific to AWS cloud resources, while Terraform/Spinnaker supports all cloud vendors. What is Virtualization and Type of Virtualization? In general there are different types of virtualization like Memory,CPU, Storage, Hardware and Network virtualization. Howver here we are going to talk about OS virtualization only. The words host and guest are used to distinguish the software that runs on the physical machine from the software that runs on the virtual machine. Karesansui is the best web based kernel-based Virtual Machine (KVM) and Xen Manager. Also one of the leading Japanese open source project. Karesansui has Simple, easy web-based interface. Easy installation. Saves initial cost to use. Free for all. Supports Xen/Kernel-based Virtual Machine(KVM) hypervisor. Other hypervisors/virtualization support on future plan. What is Virtualization? ~ virtualization is technique of running multiple operating system (OS) on same physical hardware at same time. ** Xen is an open-source para-virtualizing virtual machine monitor (VMM), or “hypervisor”,for a variety of processor. Xen can securely execute multiple virtual machines on a single physical system with near native performance. Step 3) Reboot the system so that system will boot with Xen Kernel…. That’s it Xen infrastructure is installed on CentOS. * Create Disk as file as shown below…. /var/xen-disk/centOS.hdd is not a block special device. * We have copied Centos CD/DVD in “/home/CentOS5.0/” location…. * I have changed anonymous FTP home from default one to “/home/CentOS5.0/” Please details below….